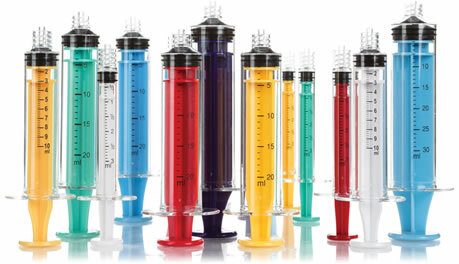 DMC Medical has developed a comprehensive range of Color Coded, Latex Free Polycarbonate Syringes available in 94 variations. Crystal clear barrels with a secure luer lock tip are available in 1ml, 3ml, 6ml, 10ml, 20ml & 30ml. 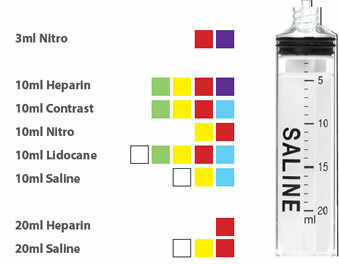 DMC also offers a pre-printed custom syringe range in similar sizes and colors. Supplied bulk non-sterile. Our Polycarbonate Syringes are FDA 510k approved and manufactured in accordance with ISO 13485.